Finally! You’ve found your dream school, and you are ready to begin one of the most memorable chapters in your life. However, you’re not entirely sure how to prepare for what you are in for. As a college student, it is important to stay organized, and plan everything in the most efficient way possible. You are an adult now, and that means that the only person capable of dictating your college career — and your entire life — is you. 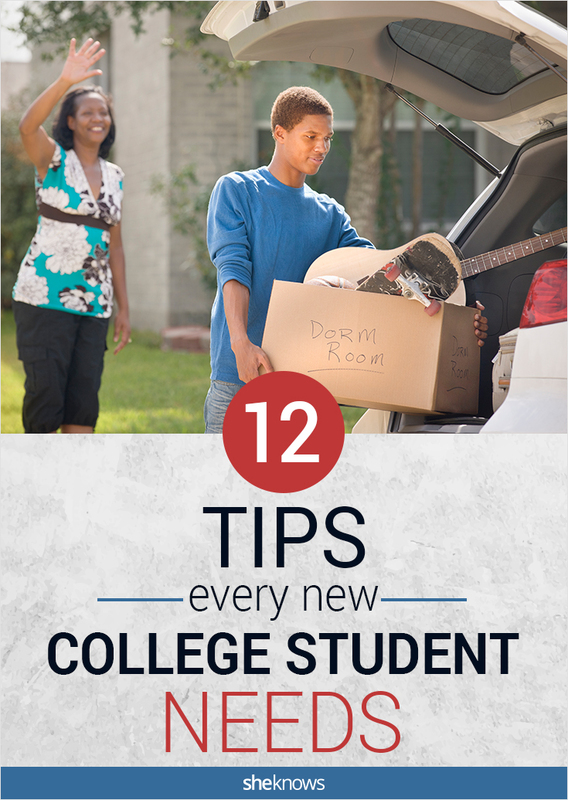 This may seem scary to think about, but don’t worry — here are 12 extremely helpful tips that can help make your first college experience less stressful. Every semester you are required to choose all of your classes yourself. There are scheduled time periods that allow you to enroll for all of your classes that semester, but these time slots give you a limited amount of time, because you are not the only one registering for classes on that day. So, before registration, take the time to sit down and add a bunch of classes to your class cart so you do not waste time when it is time to enroll. If you stumble across a situation where a class you need is already filled, do not hesitate to contact the department head. If you voice your cause and hint that you are only able to take the class during that semester, the department head may squeeze you in even if the class is already closed due to full capacity. 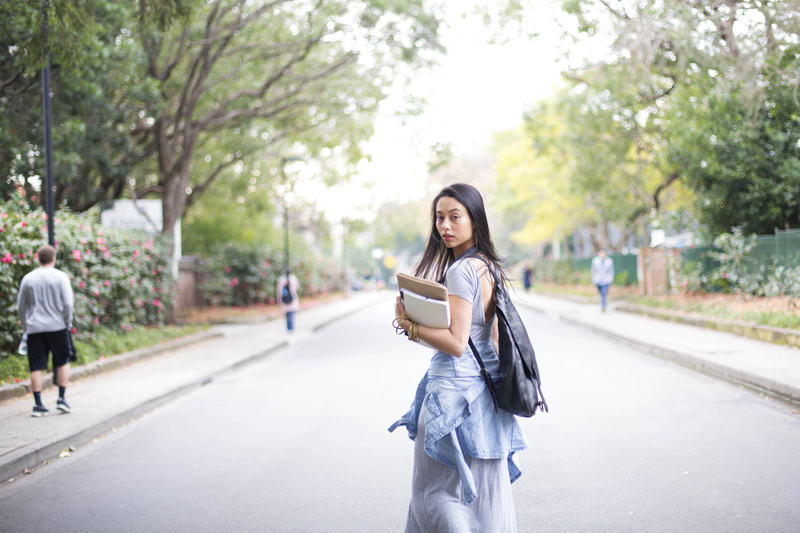 Going to a new school is always intimidating — you’re in a new environment and may not know exactly where you are going. This is normal. If you have any anxiety about being on time or finding your classes, just do a walk-through of your class schedule as if it’s the first day. Visit each classroom to see where you have to go and how to get there. Doing this will prevent you from being frazzled and disheveled on your first day. Although there are lists of the textbooks you need before you begin classes, you’d be wise to wait until after the first week. Some professors may tell you that you do not need the textbook after all. Your school will advocate that all of your textbooks will be found in the local campus bookstore. Try to use the campus bookstore as a last resort — normally the books are severely overpriced. Try alternative ways to purchase your books: Look on Chegg first to see if any of your books are available to rent. They are usually cheaper, and typically the rental period is a much longer one than the one provided at the school bookstore. If your book is not available on Chegg, try Amazon, and be sure to get the exact same editions that your professor requires in the syllabus. If you come across a situation in which none of your textbooks are available on Amazon or Chegg, go to your campus bookstore, and rent any textbooks that you can. Amazon Prime will be your new best friend. Every student is eligible for Amazon Prime if you sign up with a student email. You are able to get a 30-day free trial period, and when you purchase your textbooks with Amazon Prime you receive two-day shipping free. This will come in handy if your professors require your books in class right away. Always buy your school supplies one month before each semester begins, that way you can avoid crowds. Purchasing school supplies gets expensive, so keep your options open. Always get a separate folder or binder for each class; the more organized you are, the easier it will be for you to find notes and handouts. Whether you are reading a book or taking notes in class, highlighters are a must; when reading and studying, highlighting your work will help you remember important information, and the information will be easier to find when you are flipping through! Moreover, buy a plethora of pens; you will always lose them, lend them out to people who don’t give them back or they will run out of ink. It’s important to make your presence known because participation really counts. Whether you are in a class with over 200 students or barely 20, always participate. Make small talk with your professor if you get to class early — they will appreciate this. If your professor knows your name, they will be able to remember you when it’s time for grading. You have to keep in mind that professors have hundreds of students each semester, so it is very difficult for them to remember who you are, or even your name. Plus, it is plausible that you will have to take them again if they are a professor in your major, so, if you are on a first-name basis, the second time around will be a breeze. Making friends is one of the most important parts of college; these could be your friends for life. Either way, don’t be afraid to introduce yourself. Throughout college you will meet so many different people, and odds are, you will swap numbers. Swapping numbers with a fellow classmate will help you in the long run; in case you ever miss a class, reach out to that friend you made and ask them for the notes. This isn’t high school. In college, you are very much on your own, even when it comes to using the bathroom. Don’t raise your hand and ask, just go. Most professors, if not all, do not like being asked to use the bathroom, because it disrupts their class. Think of your academic adviser as your guidance counselor. They are here to help you and guide you and actually give you advice that will really help you with your college career. Don’t be afraid to ask questions, and make an appointment once a semester to make sure you are staying on track. Advisers can help you pick out classes, tell you which classes you might be interested in, and guide you through your requirements that you need fulfilled in order to graduate. Your academic adviser will have a lot of students, so be sure to stay on top of your appointments and always email to reassure yourself about your appointments. Make your appointments at the beginning of every semester to ensure you are choosing the right classes. Sometimes your schedule may get a little hectic, and your breaks won’t be that long, so to keep yourself energized, pack some hunger-halting foods to prevent your stomach from making those extremely loud noises. Eventually, you will get a break between classes, but don’t hesitate to snack during class; most professors do not care as long as what you’re eating doesn’t smell or make noise. In addition, make sure to bring a water bottle — or any type of beverage — with you in your bag so you are not dying of thirst during class. Nothing is worse than being thirsty and not having access to water for an entire class period. After you receive all of your syllabi, take the time to sit down and write every single assignment, homework, exam or essay that you have into your planner. That way, you will be able to know what you have due for the rest of the semester. This will help you in the long run, in case you ever lose your syllabi. One aspect of college that might surprise you is that you are 100 percent responsible for remembering your own assignments. It is extremely vital that you look at your planner religiously to make sure you know what assignments you have due for the following days. Professors do not remind you about any assignments; it is your responsibility to do your homework and know when it is due. The only thing professors may remind you about are midterms, finals, or any other test for the class; other than that, you are on your own.